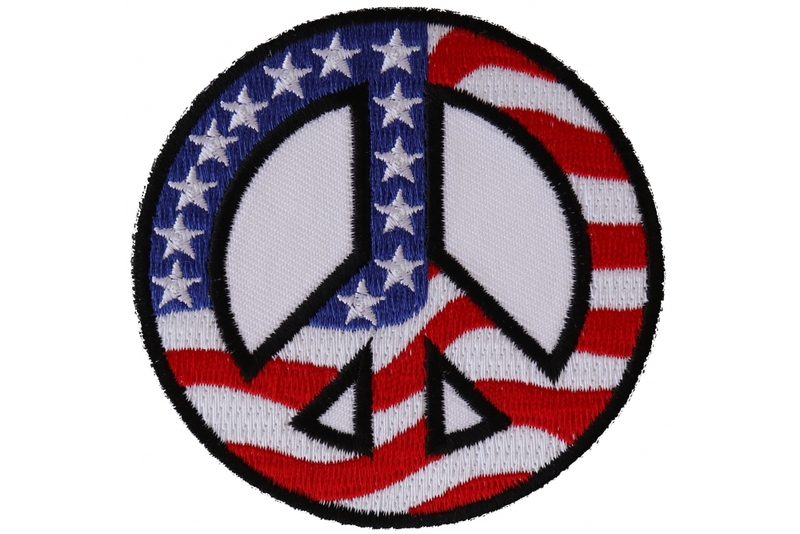 US Flag Peace Sign Patch measures 3x3 inches and is Embroidered in Black / Red / White / Blue. The Small can be sewn on or ironed on to clothing. 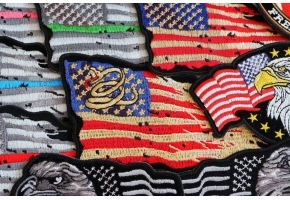 The US Flag Peace Sign Patch features plastic iron on backing and clean laser cut embroidered borders. 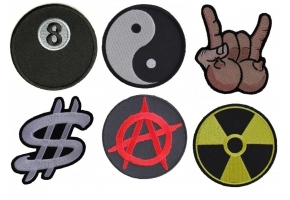 This is the smaller version of the American flag peace sign patch. 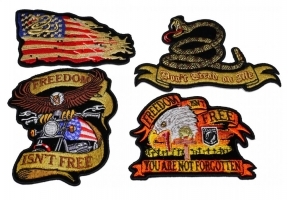 There is also a 4 inch version of this patch available. Features an American Flag Themed Peace Sign that has the stars well distributed along a blue background and some nice waving red and white stripe pattern. At times, a smaller patch also does the job in a most efficient manner. This is another variant of the peace sign patch which has been crafted exclusively for those who has high regards for the nation. 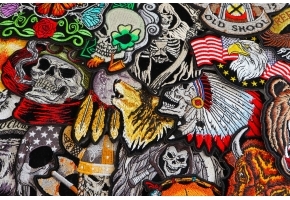 When you get this path stitched either on the vest or a jacket that you always wear it can create a very unique style statement and a lot of people would also want to try out something like what you have worn. 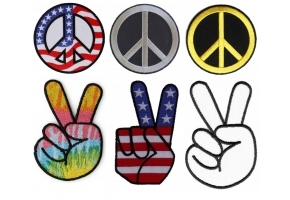 With the different colors like Red, Blue and White these US Flag Peace Sign Patches make your jacket look all the more attractive and appealing.